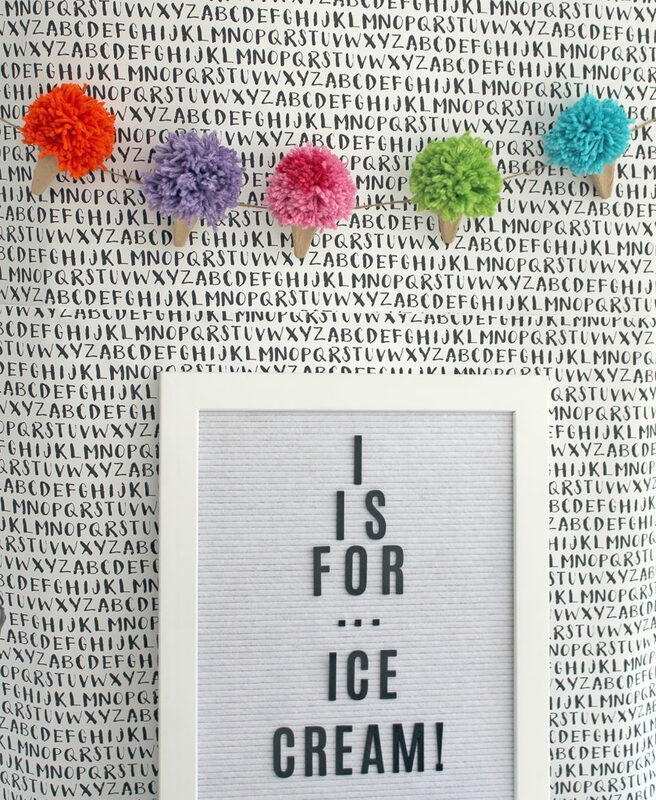 School is officially back in session at our house! 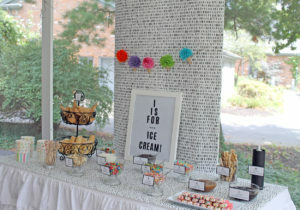 Grace, my high school junior, was the first in the family to begin her new school year few weeks ago. 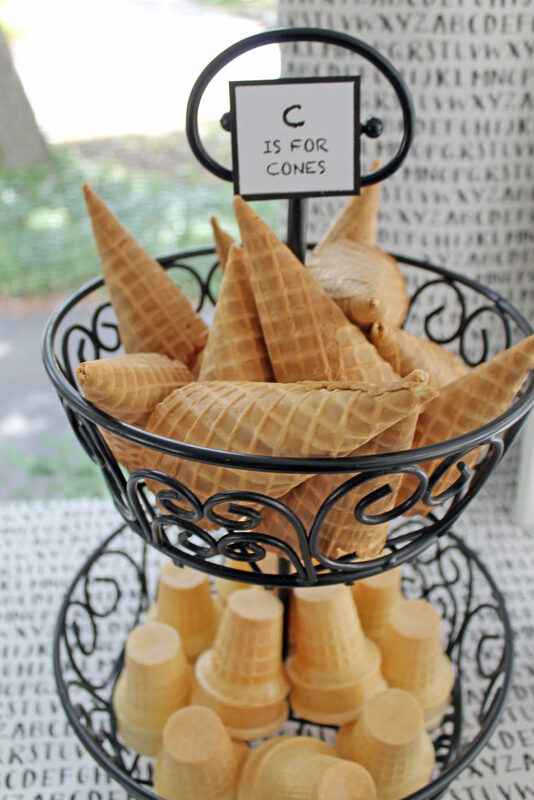 We moved Audrey back to college last weekend…and Claire (who is now in fifth grade…WHAT? 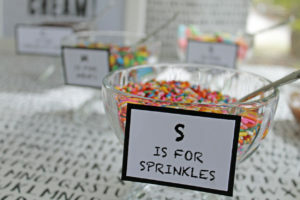 Fifth grade? 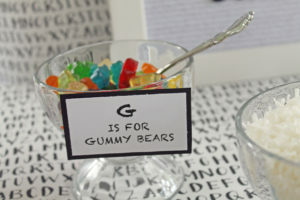 Really?) 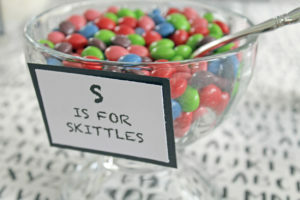 was the last to start just a few days ago. 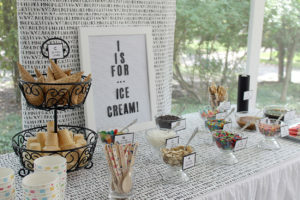 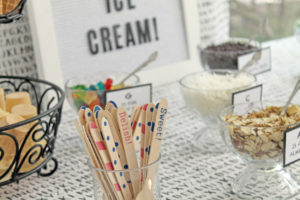 Ice cream parties are so fun to plan and put together…AND who doesn’t love making an ice cream sundae?!? 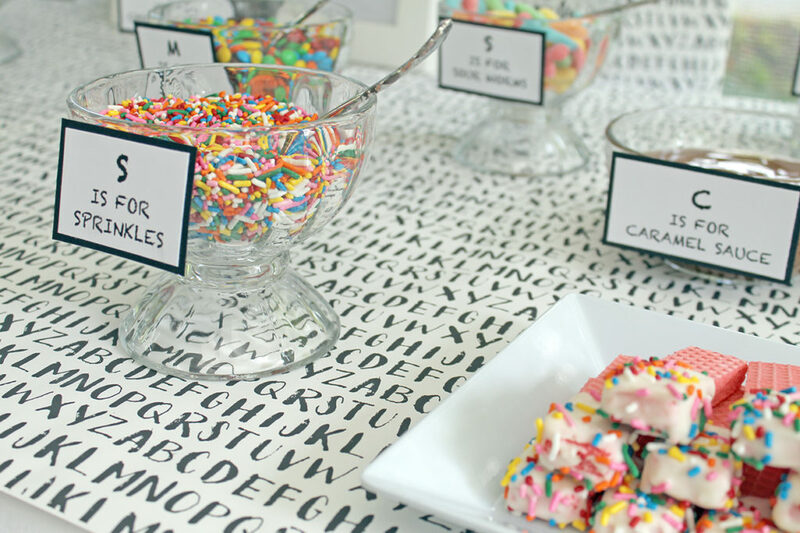 When I came upon this darling alphabet printed wrapping paper, the party all came together…at least in my mind! 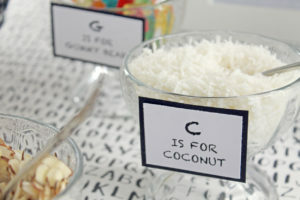 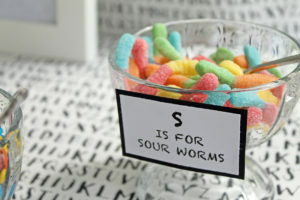 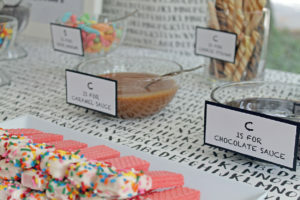 The former second grade teacher in me couldn’t resist using the alphabet letters as the theme for this celebration. 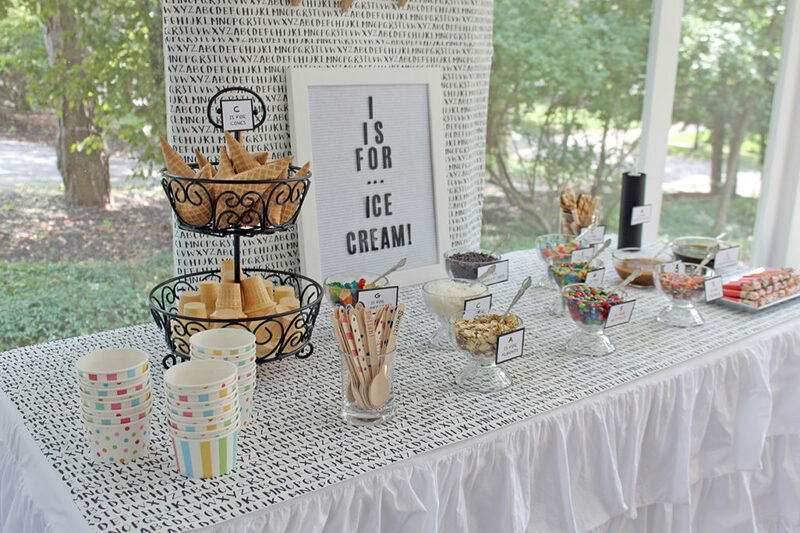 How perfect for a back to school celebration! 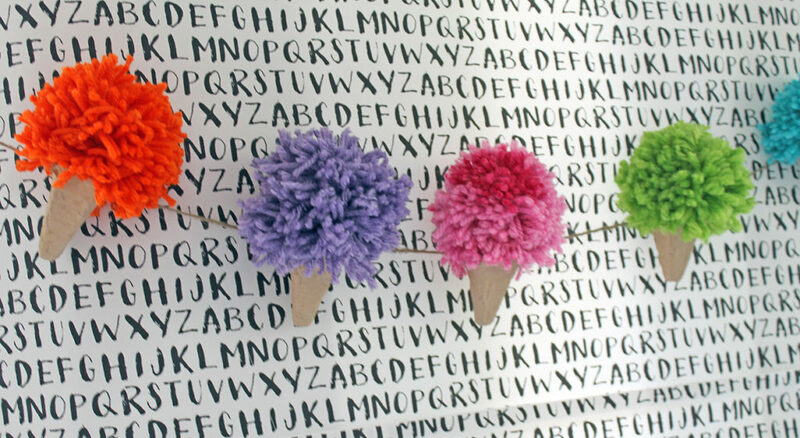 I started by covering the top of the ruffled tablecloth with the alphabet paper, and then I created a backdrop using the paper, also. 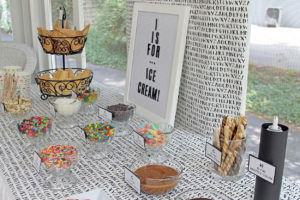 This was really the focal point of the serving table. 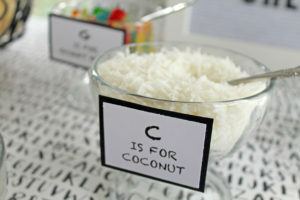 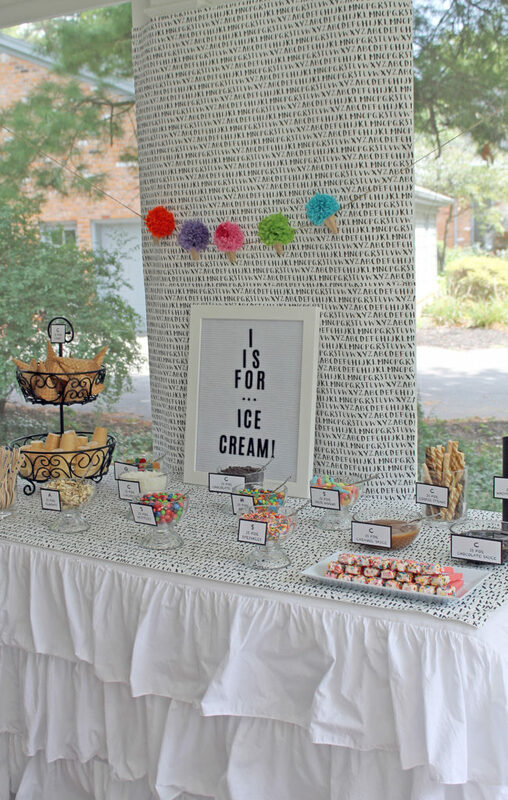 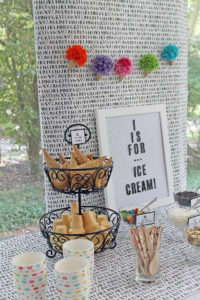 The letterboard sign set the tone for the theme of the party. 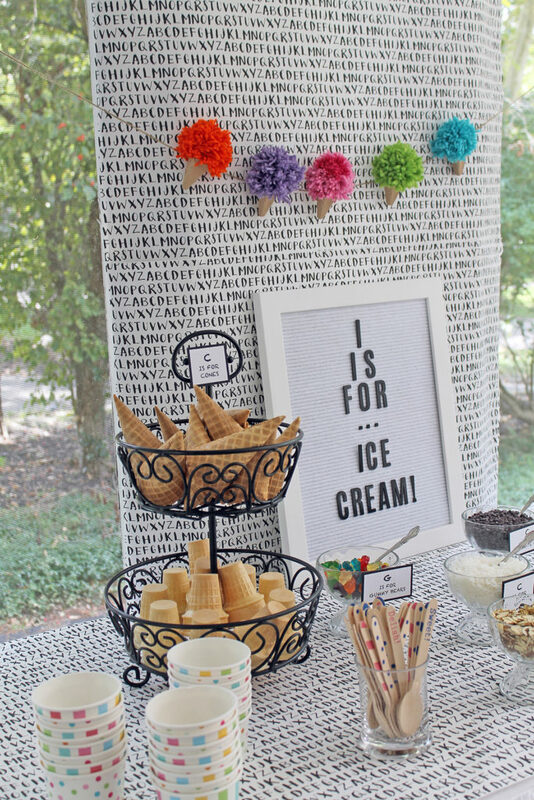 And that ice cream cone garland…I’ll be sharing the DIY on that later this week, so be sure to check back to get the how to instructions on making one! 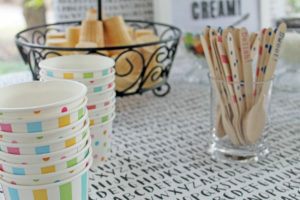 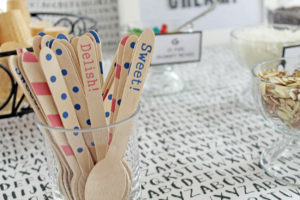 These colorful striped and polka dot ice cream cups were perfect for serving the ice cream, as well as the whimsical wooden spoons for the guests to use while indulging in the sweet, creamy treat. 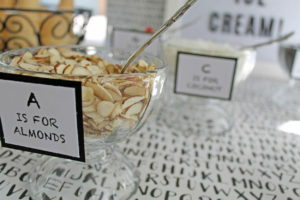 And now for the toppings…and more labeling! 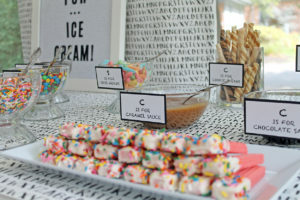 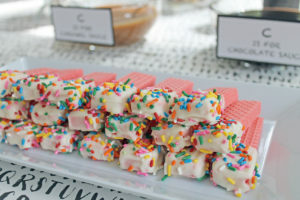 The cookie wafers and strawberry wafers dipped in white chocolate and sprinkles were fun additions to the ice cream sundae table. 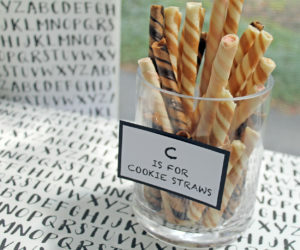 I hope everyone has a great school year filled with wonderful memories and lots of educational fun!